Unfortunately, it seems that breast cancer is becoming an increasingly common part of living for women. According to the American Cancer Society, women have a 12% chance of developing breast cancer during their lifetime. In 2012, it is estimated that more than 230,000 U.S. women will be told this year that they have breast cancer. Another 40,000 will lose the fight with breast cancer and die. Moreover, according to the National Cancer Institute, fighting for survival can be an expensive prospect with breast cancer treatment costs exceeding $13.9 billion dollars a year. It is expected that 14 to 20 percent of the 230,000 new cases of breast cancer will be characterized as triple negative. This means, at a minimum, more than 31,000 women will be told they have triple negative cancer. Most types of breast cancers test positive for at least one of the three common kinds of receptors: estrogen, progesterone, or human epidermal growth factor 2 (HER2). In the case of Triple Negative, as its name implies, this kind of breast cancer tests negative for all three kinds of receptors. This type of cancer is very dangerous because it metastasizes earlier, keeps growing back, and is hard to diagnose by mammogram. Moreover, this cancer is not a good candidate for drug treatments because it is missing the receptors that most kind of breast cancer possess and drug treatments target. In the case of triple negative there are few options and in many cases patients are forced to rely on a shotgun approach using chemicals like chemotherapy to combat the disease. Stephen Safe, from Texas A&M University, has been researching a synthetic form of diindolylmethane (DIM), as a cancer fighting drug. Diindolylmethane (DIM) is commonly found in vegetables, especially broccoli and brussel sprouts. DIM has been shown to treat several different kinds of cancer, notably triple negative. Steven Safe's partners in this research project are Mandip Sachdeva and Chandraiah Godugu from Florida A&M University. 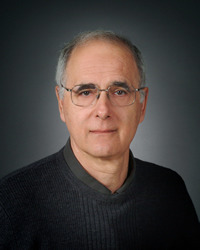 Stephen Safe, Ph.D., is a distinguished professor in both the department of VTTP and the Department of Molecular and Cellular Medicine at Texas A&M. His laboratory specializes in the understanding how gene expression is initiated by hormone/growth factors and the inhibition of breast cancer through new drugs. His laboratory currently has ten different funding grants from the NIH, NIH NCI, NIH NIEHS, DOD US Army Medical Research & Material, Florida A&M University, and American Heart National. Dr. Safe also holds the position of director at the Center for Environmental and Genetic Medicine. The purpose of the center is to understand how our bodies are affected by the environment we live in. This means the center studies what we eat, what drugs we take, and where we work to determine if they can affect us negatively. Women need to be doing everything they can throughout their lives to prevent cancer from developing. This is especially true if they can prevent cancer by doing something as simple as eating your veggies. So, women out there your moms were right, you should eat your veggies to stay strong and healthy and especially to fight against cancer. Biotechnology Calendar, Inc. is in the business of bringing life science researchers together with scientific sales professionals to network and exchange valuable information about laboratory research and the tools and techniques for getting it done well. Now in our 20th year of scientific event planning and marketing on research campuses across the US, we're pleased to be holding our 12th annual College Station BioResearch Product Faire™ event on the Texas A&M University Campus on January 31, 2012. 02/01/2013 - 13th Annual - College Station BioResearch Product Faire™, located in College Station and situated on the Texas A&M University Campus. *09/18/2013- 3rd Annual Front Line Event**- Austin BioResearch Product Faire™ at the University of Texas, Austin Campus. *09/19/2013- 11th Annual- San Antonio BioResearch Product Faire™- located in San Antonio and situated on the University of Texas Health Science Campus.